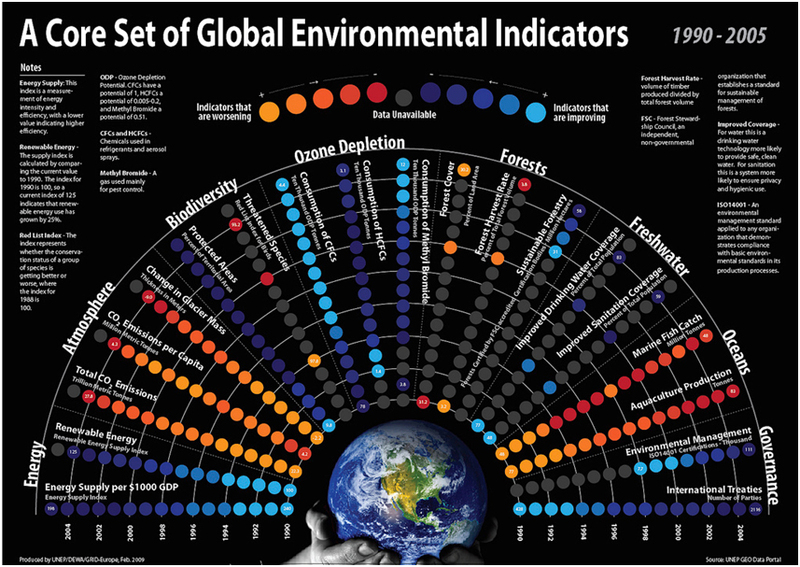 Environmental indicator: A Definition Environmental Indicator is a metric describing the state or dynamics of an environment. Indicators can be presented as absolute values, particularly where the units are physically meaningful, or as anomalies, ratios or percentages. Indicators can also have a synthetic dimension, combining more than one variable into a composite index. sufficiently well defined as to capture the main properties of the environment.